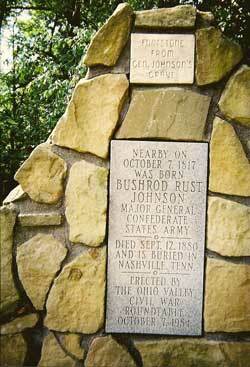 Taken on face value, Bushrod Rush Johnson was a most unlikely Confederate general. To begin with, he was born in Belmont, Ohio, to an ardently abolitionist Quaker family. At age 18, despite his parent’s pacifist beliefs, he applied for and was accepted at the U.S. Military Academy. , The “Rock of Chickamauga,” and William Tecumseh Sherman, who, among other achievements, was the pre-Civil War superintendent of the institute of higher education that became Louisiana State University. And just like his classmate Sherman, he turned to academics after his military career floundered. Following graduation, Johnson was commissioned a second lieutenant in the 3rd U.S. Infantry and served in the campaign against the Seminoles in Florida. Johnson also served in Kansas, Louisiana, Texas and Missouri and was promoted to first lieutenant in 1844. Serving first with Zackary Taylor in the Mexican War, Johnson saw combat at the battles of Palo Alto, Resaca de la Palma and Monterrey. He was then transferred to Gen. Winfield Scott’s army for the Vera Cruz campaign. Instead of being given a combat role, Johnson was appointed acting assistant commissary. At this point in his career, Johnson made a serious mistake in judgment and approached his commanding officer in New Orleans with a scheme to make money by misappropriating government property. That officer turned him in. A government inquiry followed and the decision was appealed to then President James K. Polk. Johnson was allowed to resign his commission in October 1847 without prosecution. His career in the U.S. Army was over. Johnson put his West Point education and military experience to use and landed a job teaching at Western Military Institute in Georgetown, Ky. James G. Blaine, future speaker of the U.S. House of Representatives and presidential candidate, was an instructor there. Eventually, Johnson became headmaster. He married Mary Hatch. They had a son, Charles, who was an invalid and required continual care. Mary died of “nervous fever” in 1858. Johnson hired a nanny and continued to teach. In 1855, WMI moved to Nashville where it merged with the University of Nashville. WMI continued as a prep school offering high school instruction. Smyrna’s Sam Davis, “Boy Hero of the Confederacy,” attended the Western Military Institute from 1860 to 1861 and was a student of Bushrod Johnson. The WMI campus was located from 1855 to 1861 at 724 Second Avenue South, which serves today as Metropolitan Nashville City Government's Planning Building. Designed by architect Adolphus Heiman, it is the only remaining structure of the original University of Nashville. The two-story limestone structure is Gothic Revival in style with buttresses and a castle-style parapet. During the Civil War the occupying Federal forces used the building as Hospital No. 2, housing 300 beds. From 1944 to 1973 the building served as the Children's Museum. By the outbreak of the Civil War, Johnson was a prominent Nashville citizen, who sided with the causes of the Confederacy. He was appointed colonel and chief of engineers of the Provisional Army of Tennessee. On Jan. 25, 1862, Johnson was made a brigadier general in the Confederate Army. His son, Charles, was sent north and relatives in Ohio cared for him during the War. Johnson quickly amassed a commendable combat record. His actions at Fort Donelson were one of the few bright spots for Confederate defenders as he led the Rebel’s left flank in a successful assault on the Union right. During the Battle of Shiloh he led his own Tennessee brigade in heavy action. His brigade suffered 740 casualties at Shiloh, and an exploding shell killed Johnson’s horse. Johnson’s Brigade was comprised of the 17th, 23rd, 25th, 37th and 44th Tennessee Infantry regiments and the Jefferson Artillery from Mississippi. At Perryville, Ky., Johnson led his men in the assault across Doctor’s Creek on Oct. 8, 1862 and had five horses shot out from under him in the Confederate’s 1862 Kentucky Campaign. Following a “technical victory” at Perryville, Gen. Braxton Bragg, commanding what was known then as the Army of Mississippi, withdrew his army to Murfreesboro where it was reformed as the Army of Tennessee. With the Confederate troops moving out, Kentucky was to remain under Union control for the rest of the war, an important strategic victory for the Union and particularly for Kentucky-born Abraham Lincoln. Bragg's Army of Mississippi consisted of about 16,800 men in two wings. The Right Wing, commanded by Maj. Gen. Leonidas Polk, consisted of a single division under Maj. Gen. Benjamin F. Cheatham. 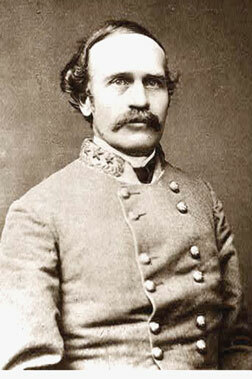 The Left Wing, commanded by Maj. Gen. William J. Hardee, consisted of the divisions of Brig. Gen. J. Patton Anderson and Maj. Gen. Simon B. Buckner. Johnson’s Brigade was assigned to Buckner. As 1862 drew to a close the Confederate Army of Mississippi merged in Murfreesboro with the Army of Kentucky forming the Army of Tennessee.  Bushrod Johnson’s Brigade was assigned to the 2nd Division of Hardee’s Corps. Maj. Gen. Patrick Cleburne was division commander. 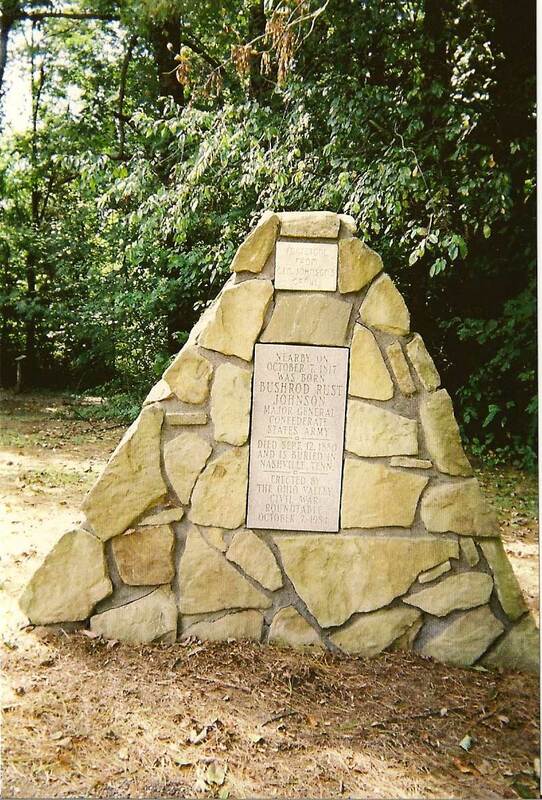 Again at Stones River on Dec. 31, 1862, Johnson’s troops were in the thick of the fight with Cleburne’s Division pushing the Federal line back three miles. Following a strong resistance led by Union Brig. Gen. Phil Sheridan, Johnson rallied his troops and held the line. His men suffered more than 600 casualties and captured two Federal batteries. At Hoover’s Gap on June 24, 1863, Johnson’s Brigade was among the first to taste the bitter firepower of the Spencer repeating rifles wielded by Union Col. John T. Wilder’s Brigade. Johnson’s Brigade joined Brig. Gen. William B. Bate’s Brigade in an attempt to dislodge Wilder from the narrow gap but failed. 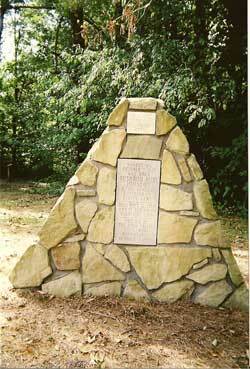 The Battle of Chickamauga on Sept. 30, 1863, was the highpoint for Johnson and his men. Johnson was promoted to provisional division command with his brigade combined with those of Brig. Gens. Evander McNair and John Gregg. Johnson’s command was in the center of the Confederate left that slammed through a quarter-mile gap left in the Federal line by Maj. Gen. Thomas Wood's withdrawal. Johnson’s men captured 19 cannons, a wagon train and a Union hospital, and killed and captured hundreds of Federal troops. In the aftermath of Chickamauga, Johnson’s provisional division was dissolved with his brigade accompanying Longstreet’s Corps to Knoxville where they played a small role in the attack on Fort Sanders. In early May 1864, Johnson’s Brigade was dispatched to Petersburg, Va., winning praise from Gen. P.G.T. Beauregard for their action at Drewry’s Bluff. Passed over many times, Johnson was finally promoted to major general effective May 21, 1864. His new command took part in the final defense of Petersburg. But two months later, he lost face following his inaction at the Battle of the Crater. Johnson’s portion of the Petersburg defense was over a mine dug by Federal troops and exploded on July 30. Johnson dispatched others to take care of the hole blasted in his lines and then sat down for a leisurely breakfast. Commanding Gen. Robert E. Lee was not impressed. Johnson, Pickett and their corps commander, Lt. Gen. Richard Anderson, saved themselves only to be relieved of duty by Lee on April 8, 1865. That was the day before Lee surrendered the rest of his army to Grant at Appomattox. Following the war, Johnson returned to the classroom. Partnering with fellow ex-Confederate general Edmund Kirby Smith, Johnson won the contract to operate Montgomery Bell Academy and the collegiate department of the University of Nashville. Ultimately, Johnson and his son Charles moved to a small farm in Illinois where the general died in 1880. 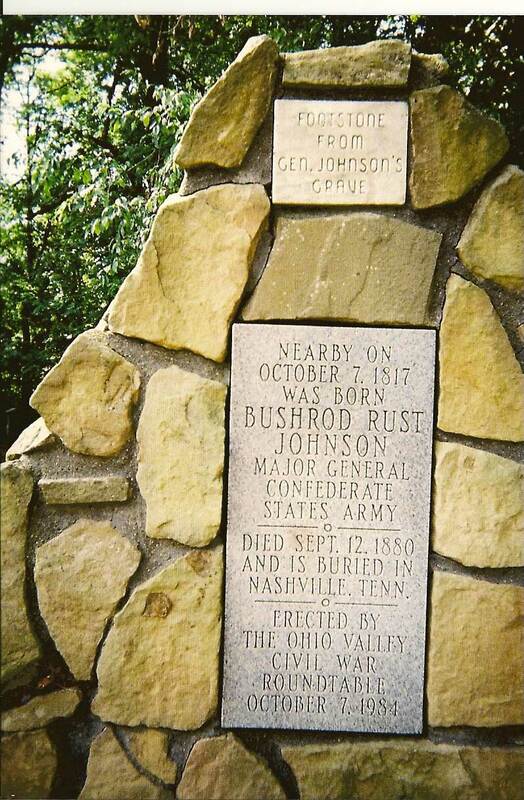 As a historic footnote of sorts, Bushrod Johnson’s remains were disinterred in 1975 and relocated to the historic Nashville City Cemetery where they were buried next to his wife Mary. Died Sept. 12, 1880 and is buried in Nashville, Tenn.